The International Cell Line Authentication Committee (ICLAC) is a voluntary, independent scientific committee that aims to make cell line misidentification more visible and promote authentication testing to combat this common cell culture problem. ICLAC was established in 2012 following the publication of a consensus Standard for human cell line authentication. The availability of a consensus method has resulted in the discovery of new misidentified cell lines, as laboratories compare their stocks to reference materials held by originators and cell banks. The committee curates a Register of misidentified cell lines through the efforts of its members, who volunteer their time to review new candidates for inclusion in the Register. ICLAC has also developed guidelines for the research community on topics related to authentication, including a cell line checklist for manuscripts and grant applications. The committee has investigated a number of cell lines that may be misidentified but where it is difficult to reach a definite conclusion. Most recently, ICLAC investigated “breast” cell line MDA-MB-435 (Korch et al., 2018; PMID 28940260). The committee used early publications from the laboratory that established the M14 melanoma cell line to uncover early samples from the 1970s; these samples demonstrated that MDA-MB-435 is derived from M14 melanoma. ICLAC has developed relationships with a number of partner organizations that support the work of the committee through individual membership, administrative support, website resources, sourcing of cell line samples, and sample testing. hPSCreg has been an ICLAC partner since 2016. 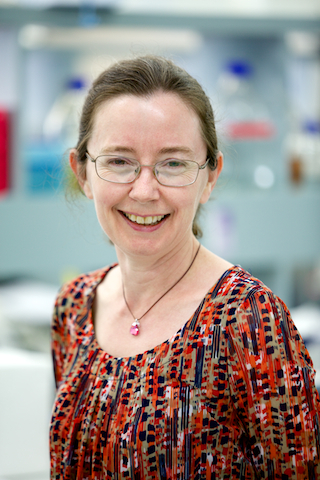 Amanda Capes-Davis MB BS BSc(Med) PhD is a graduate of the University of Sydney with a background in cancer genetics. She was Founding Manager of CellBank Australia and has acted as ICLAC Chair since its establishment in 2012. Amanda currently works as a cell culture consultant and technical writer. She was a co-author on the hPSCreg publication “A Standard Nomenclature for Referencing and Authentication of Pluripotent Stem Cells” (Kurtz et al. 2018, PMID 29320760).